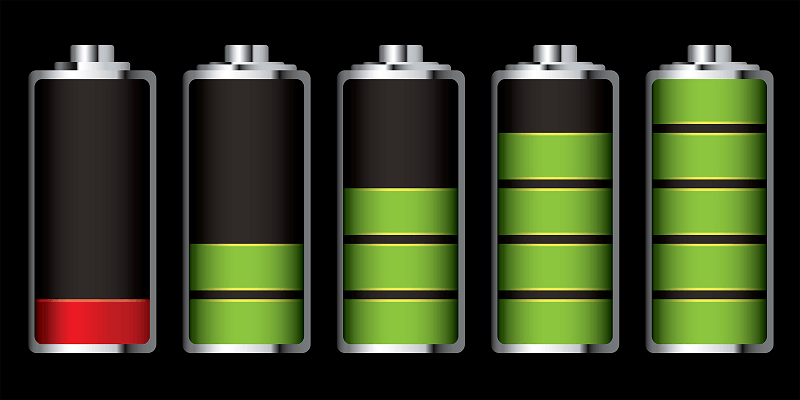 The rise in popularity of mobile devices has prioritized research of battery technology. With each new breakthrough, we’re one step closer to eliminating a barrier that has held back mobile devices for far too long. The latest advancement from UCLA’s California NanoSystems Institute involves the creation of a new energy storage medium by combining two nanoparticles to extract the best qualities from supercapacitors and batteries. As Phys.org points out, supercapacitors are electrochemical components capable of charging up in seconds versus hours and have a lifespan of around one million recharge cycles. Unfortunately, supercapacitors aren’t capable of storing enough energy to power today’s mobile devices. By combining the two, the team of researchers were able to create a hybrid supercapacitor capable of storing large amounts of energy that can be rapidly recharged more than 10,000 times. Furthermore, the team created a microsupercapacitor measuring one-fifth the thickness of a sheet of paper that is capable of fitting inside wearable devices and even implantable gadgets. This tiny wonder combines laser-scribed graphene with manganese dioxide, a common component of alkaline batteries that can hold a lot of charge, is cheap and readily available. Impressively, the microsupercapacitor can hold more than twice the charge of a typical thin-film lithium battery. Richard Kaner, the chemistry and biochemistry professor that led the study, said it shows a great deal of promise in real-world applications and they are excited about the possibilities for greatly improving personal electronics in the near future.